ReferralCandy is a popular app that allows you to track and reward customers who refer their friends to your business. To create your own affiliate rewards program using ReferralCandy and PayWhirl please follow the tutorial below. 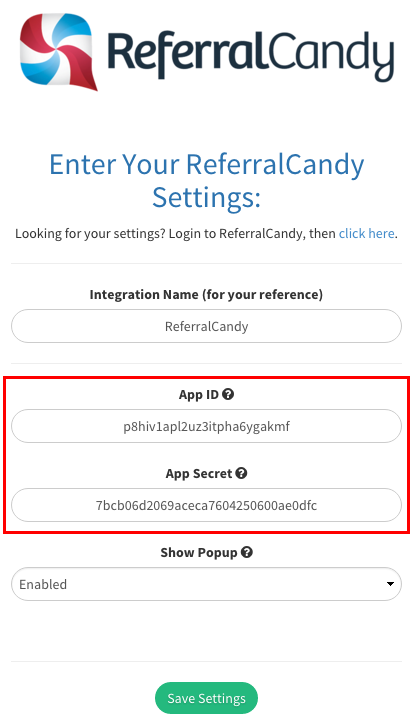 Create a ReferralCandy account at http://www.referralcandy.com and locate your account "App ID" and "Secret Key" on your admin settings page. 2) Next, Install the integration on PayWhirl. 3) Setup your ReferralCandy rewards and account settings. In this example we're going to setup ReferralCandy with PayWhirl so customers can earn 50% off their next payment by referring a friends. Then we will setup a "Friend Offer" in ReferralCandy for 20% off to help entice new customers or "friends" of existing customers. To setup your Referral Reward click "Referral Reward" in the main menu of Referral Candy. 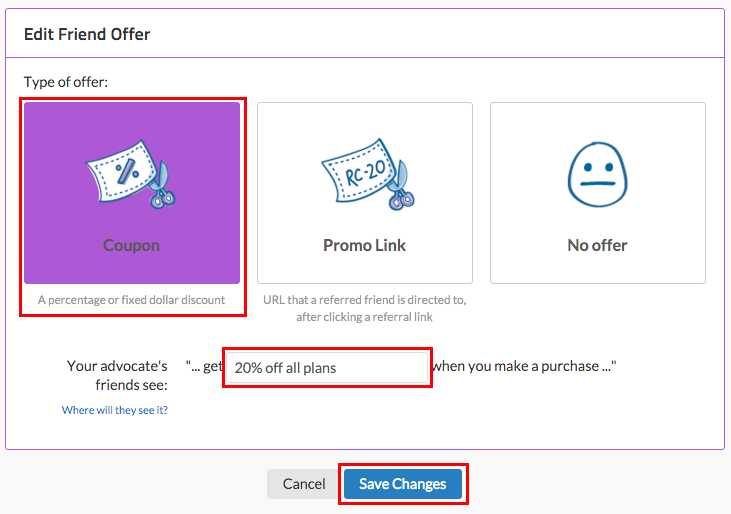 For this example we'll choose "Coupon" as the type of reward and describe our offer for "advocates" in the referral reward settings. Next, we will setup the referral reward conditions in ReferralCandy. These are the settings that control the "rules" of your referral reward for advocates. 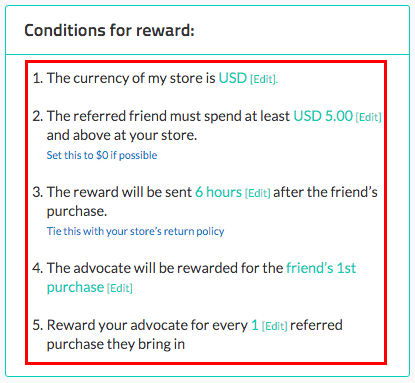 In this example, we will be rewarding based on the following conditions: rewards will be delivered in USD, the referred friend must spend at least $5.00, the reward email will be sent 6 hours after the friends purchase, advocates will be rewarded only on the friend's first purchase and advocates can receive one reward only for each friend they refer. NOTE: You can configure these settings however you'd like. This is just one example of how you can reward customers for referrals. 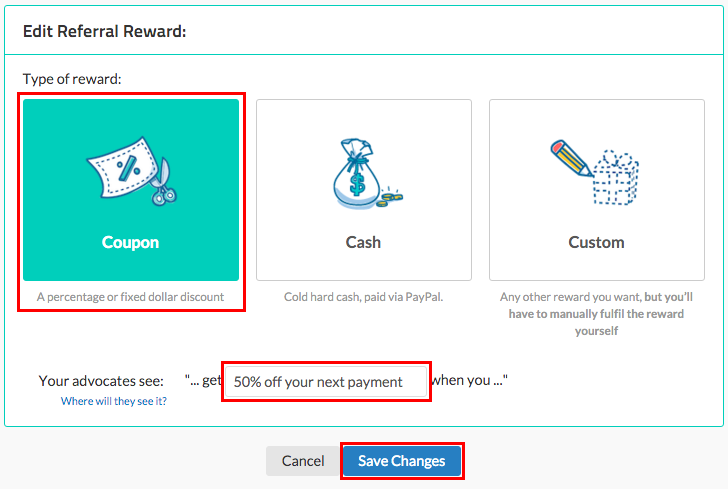 Next, click the green "New Promo" button in the top right corner of PayWhirl to create your new promo code for the referral reward. We're going to make our advocate reward a 50% off promo code ("50OFF") that can be applied to new or existing subscriptions on PayWhirl. Later on in this tutorial we will need to create our "friend offer" promo code so let's do that now while we're here in PayWhirl's manage promo code page. The friend offer will be given to "friends" of advocates as an incentive to sign up. 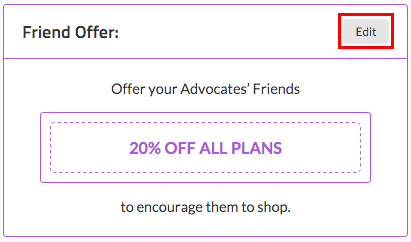 In our example, we will make the friend offer a 20% off promo code ("WELCOME22") to help entice people to purchase.NOTE: You can change these settings to meet your own business needs. For example, you don't have to have a friend offer (they are optional technically). Now that we have our two different promo codes created (referral reward & friend offer) we can finish our setup in ReferralCandy. Let's continue by adding our referral reward promo code to our referral candy account settings under Referral Reward. 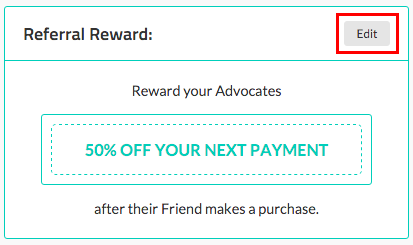 Paste in your "50OFF" promo code from PayWhirl as your referral reward for advocates. 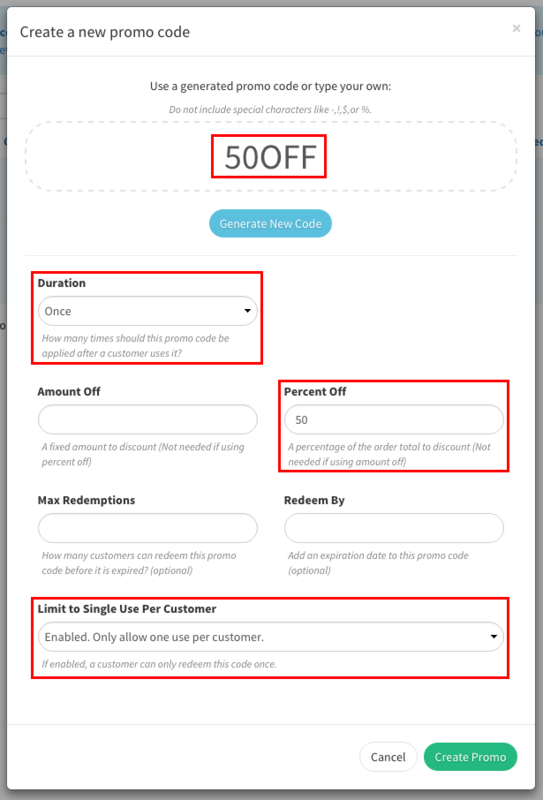 In this example we only created one referral reward promo code but they suggest at least 100 if they are one-time use codes. NOTE: You should change these settings to meet your business needs... This is just an example! 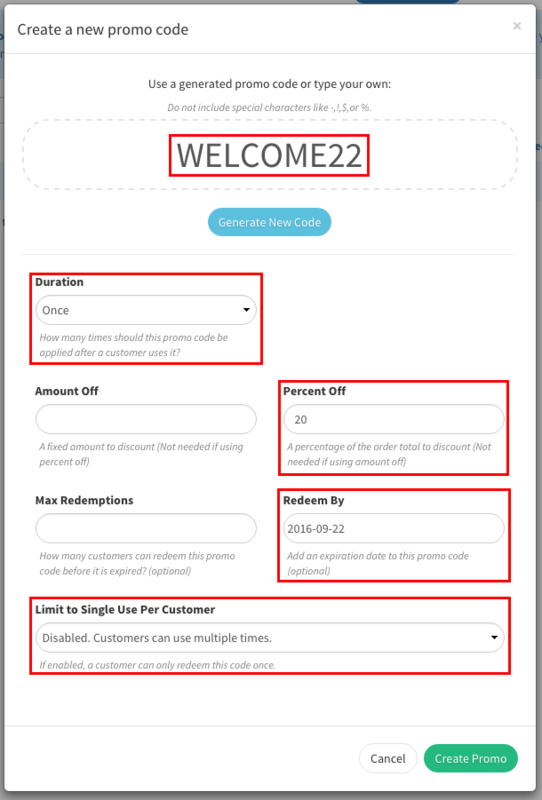 Now we need to add our "WELCOME22" friend offer promo code to the Friend Offer settings. Click "Edit" next to "Manage your Friend Offer coupon code. Please customize your own settings as needed. 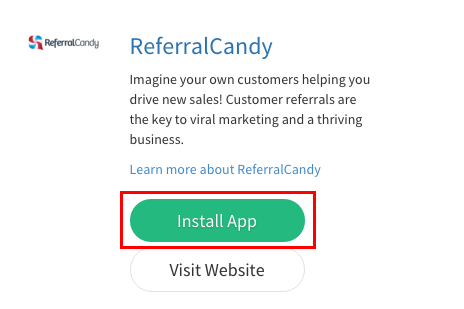 You will need to contact ReferralCandy after you have installed the ReferralCandy app. 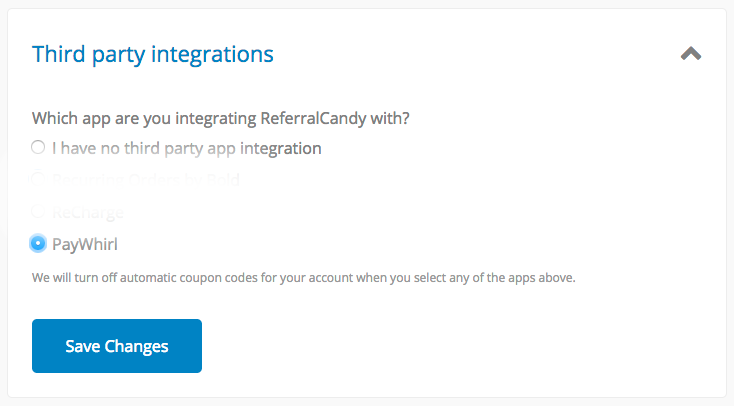 This step will allow you to manually set coupon codes in ReferralCandy so you can follow the integration steps above. 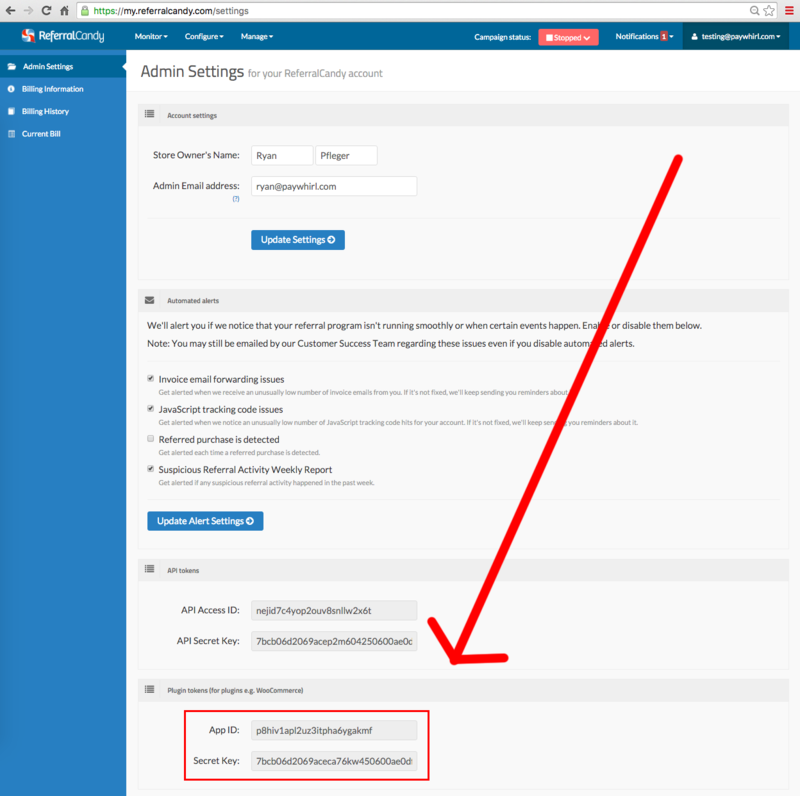 Referral candy has added an option for retailers to select the "PayWhirl" Integration as part of the set up process (see below screenshot). This is the first step that retailers have to do in order to configure the needed rewards properly. 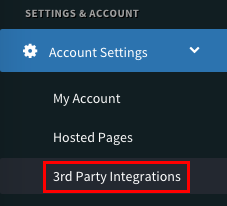 This option can be found in the ReferralCandy dashboard at https://my.referralcandy.com/integration (you can log into the ReferralCandy dashboard to see this in action). That's it!... Once you activate your ReferralCandy campaign your referral program will be live and ready to track customer referrals. As customers use their referral links you will begin to see events show up in ReferralCandy's activity monitors. 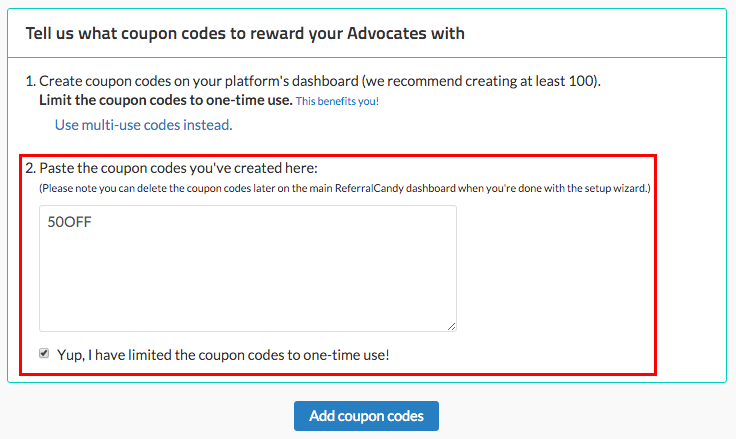 Referral candy will email out the rewards (in the form of promo codes in this example) automatically based on your settings and customers can then apply their reward codes or friend offer codes to new / existing subscriptions on PayWhirl. NOTE: You might have to enable the ability for customers to apply promo code rewards to EXISTING invoices or subscriptions in your PayWhirl account, "My Account" settings under advanced settings.